The duo started for the first time for Chiefs in the 3-0 victory in the Nedbank Cup last 32 at FNB Stadium on Sunday. However, both men were substituted in the second half, and Komphela conceded they lack match fitness. "I think to be honest, they gave a good account of themselves. We could see the amount of work Castro did and we saw a number of attempts Ntshangase was trying," Komphela said. "And naturally so. When we go back, Castro spent a lot of time not playing in his previous club [Mamelodi Sundowns]. "He came with us and he is starting to get there. Match fitness is something very difficult but you have to build players towards that. "The same with Ntshangase where he was was not playing [at Baroka] and we knew when we started them the possibility of them finishing those matches were very slim. "But we did had a plan to say okay if they don't go the distance then what. So we already had our lines and we are okay." Komphela added that he will continue to manage their workload. "When you bring them on as subs, you obviously say okay the opponents might have depleted their energy when they come in, they will cope and show their quality and finish the match. "Those are processes you as a coach have to manage and based on your training experiences and feedback from a player, because we do engage. We ask how many minutes you think you can give us and say I can give you 45 or 50 and you trust the player. "But I hope very soon they will play from zero minute to 95 without hiccups. But that will not happen instantly, it's not possible." 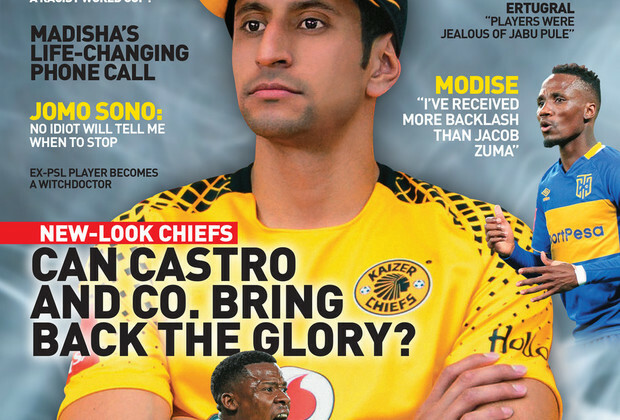 Be sure to get the latest KICK OFF Magazine, as we explore whether Kaizer Chiefs recruits Castro, Ntshangase, Kabelo Mahlasela and Siphosakhe Ntiya-Ntiya are the right men to help Amakhosi end their trophy drought. Prefer reading KICK OFF Magazine on screen? DOWNLOAD a digital copy of the magazine here!